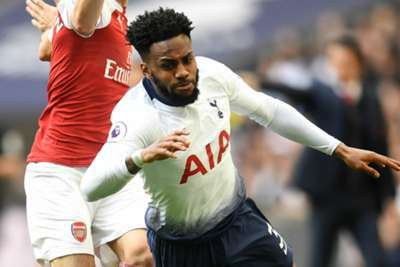 Danny Rose admits Tottenham's character will be tested as they attempt to cling on to third place in the Premier League, but he said Mauricio Pochettino will relish the challenge of ending the season on a high. Spurs are winless in their last four Premier League matches after suffering defeats to Burnley, Chelsea and Southampton and being held to a 1-1 draw in the North London derby against Arsenal. Their sudden dip in form has allowed fourth-place Gunners to close the gap on their rivals to just one point as Pochettino's men prepare for a gruelling run of fixtures that includes matches against Liverpool and Manchester City. Rose accepts their "crazy" recent run has altered the complexion of a domestic season that promised so much, but he insists his team-mates are well aware of the importance of the next few weeks. "It's just crazy," said Rose, as quoted by Sky Sports. "Three weeks ago, we were 10 [points] clear of Arsenal and it's just funny how a week in football can seem like it lasts forever, especially when you are on the back of two defeats and fighting for a draw against Arsenal. "The season is obviously not how it was looking three weeks ago, especially when you have got to travel to City and travel to Anfield. And, as well as that, there are no easy games in the league. "We know what's at stake." Our @England boys get to work at St. George's Park! Tottenham are due to play their first game at their new stadium against Crystal Palace on April 3 and Rose said the switch from Wembley will give the club a lift. "It's nice we have got some good news that we are going to be moving into our new stadium," he said. "I hope that can give us all a boost. "If you'd ask the manager, he'll be relishing this. He'll get to see what type of players he is working with now, who's ready to fight. "I think everybody's character now is going to be tested between now and the end of the season." The full-back will be at Wembley on Friday for England's Euro 2020 qualifier with Czech Republic, ahead of a trip to Montenegro three days later. Rose is enthused by the mood in the camp as Gareth Southgate's men aim to build on their positive World Cup and Nations League campaigns. "Winning is contagious," said the 28-year-old. "Once you have got a happy camp - like we always do - there is no end to what we can achieve. "We're all full of confidence going into the games on Friday and Monday. And not only them, the games in the summer as well [at the Nations League Finals]."